The dream is still alive for eight of the 37 Irishmen who entered Stage One of the European Tour Qualifying School. Niall Kearney had to sweat in BerlinAll 12 entrants failed at Section A last week but eight of the 25 starters in Section B survived and will tee it up at one of four Stage Two venues in Spain in November. 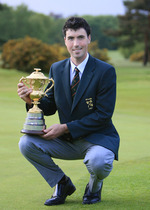 St Margarets' John Kelly was the top man when he finished tied third on 12 under at The Oxfordshire after a closing 69. It was his fourth successive sub-par round at a venue where 28 qualified on four under par 284 or better. They included Michael Collins (72) who was 13th on seven under and former tour player David Higgins of Waterville, who carded a gutsy 70 to make it with two shots to spare on 282. Ulsterman Chris Devlin, a shock qualifier for last year's US Open at Torrey Pines, scraped in on the four under par cut off thanks to a superb 68 but Belfast’s Damian Mooney missed out by a single shot after a 71. Peter O'Keeffe (71) and amateur Cian Curley (69) came up two shots short on two-under 286. Walker Cup star Niall Kearney breathed a sigh of relief when he squeaked through by the skin of his teeth in Berlin. The Royal Dublin amateur closed with a 74 at Fleesensee but snatched the last of 31 spots on three under par as Mallow’s Mervyn Owens shot 71 to finish a comfortable 13th on five under. Limerick’s Cian McNamara and Ulsterman Eddie Barr were inside the top 26 and ties at Golf de Moliets in France but Paul O’Hanlon came up four shots short despite a final round 70. A total of 115 of the 715 competitors who teed up at The European Tour Qualifying School First Qualifying Stage have progressed to Stage Two. In Germany, a brilliant seven under par 65 from Ally Mellor saw the Englishman charge through the field to win on 14 under 274, with Norwegian Marius Thorp taking second spot. With the top 26 (plus ties) players from Fleesensee winning places at Stage Two, the qualifying mark came at three under par with 31 players making it through. There was a mini Spanish invasion at the Golf de Moliets as the top three spots on the leaderboard going to Carlos Balmaseda, who carded a final round 66 to post a winning score of 266 win by five from compatriot Raul Quiros and six from Borja Etchart. There were 26 players who qualified at Moilets with the cut-off point falling at five under par. The Swiss Martin Romminger took the honours at Circolo Golf Bogogno in Italy with a 14 under par winning aggregate giving him a two stroke cushion over second placed Sebastian L Saavedra of Argentina. There were 30 qualifiers on two under par or better in Italy. 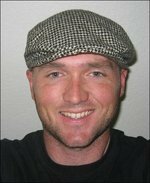 Of the 28 qualifiers at the Oxfordshire making it through to Stage Two on scores of four under par or better, American Ryan Blaum led the way with 17 under par 271 aggregate, three strokes clear of Englishman Graeme Clark. 284 K McNicoll (Sco) 76 71 72 65, Chris Devlin (Nir) 73 70 73 68. 285 J Makitalo (Fin) 72 69 76 68, R Harris (Eng) 74 71 66 74, L Richard (Bel) 71 72 69 73, T Cruz (Por) 71 71 75 68, J Ruth (Eng) 73 72 70 70, L Corfield (Eng) 70 74 71 70, T Sundström (Fin) 67 76 74 68, Niall Kearney (am) (Irl) 71 72 68 74. Walker Cup player Niall Kearney is one of 37 Irishmen who have entered the first stage of the European Tour Qualifying School later this month. The 21-year old Royal Dublin amateur will tee it up in a 115-man field at Fleesensee Golf and Country Club near Berlin from September 22-25 alongside Justin Brink and fellow South of Ireland champions Mark Campbell and Mervyn Owens. Kearney is one of six Irish amateurs amongst the 749 hopefuls who will begin their bids of European Tour cards at stage one. The others are Ulstermen Byron Campbell and Ruairi McGee, Newlands’ Irish international Cian Curley, Royal Dublin’s Neil O Briain and Portmarnock’s James Fox. Portstewart’s Paul Cutler, who was disappointed not to make the Walker Cup side this year, has not entered. John Kelly repaid the faith shown in him by Padraig Harrington when he fired a second round 68 to keep his European Tour dream alive at the first stage of the Qualifying School. Harrington and Kelly in the Irish PGA at The European Club, 2009Harrington and his brother Tadhg have been guiding Kelly's progress behind the scenes and his hard work with "Harrington Golf" looks to be paying off at The Oxfordshire. A four under par effort left the 38 year old St Margarets man tied for fifth place on six under par with the top 27 and ties progressing to November's second stage. Walker Cup ace Niall Kearney blasted a third round 68 in Germany to keep his tour dream alive at the first stage of the European Tour Qualifying School. Mervyn Owens is looking good in BerlinWith the top 27 and ties progressing to November’s second stage, the Royal Dublin amateur moved into a share of eighth place on five under at Fleesensee near Berlin with Mallow's Mervyn Owens a shot further back after a 73. In France, Ulsterman Eddie Barr hit a 70 at Golf de Moliets to move into a share of eighth on eight under par with Limerick’s Cian McNamara well-placed in tied 15th on six under.